If You Are Looking For The Best Printing Services And A Sign Company In Miami, Your Search Ends At Top Class Signs And Printing Miami! Choose Top Class Printing Miami to get the best signage to advertise your company or brand. we believe in providing all the quality services all under one roof so that you do not have to run to different places to fulfill all your needs. We believe in growing with your company. This is why we have expanded our products to specialize in marketing and not just one product. Our company has professionals and well-trained designers that can design the best signage for you that represents the type of brand image you want to promote in the market. We understand that each client has different and unique needs, so we deal with each of them with a different approach. We offer a wide range of services from advertising to website designing at reasonable rates. Let us have a look at them one by one. We can design the best in market interior office signs and channel letter illuminated building signs. Interior office signs make your workplace look more attractive and pleasant. It helps in creating a strong brand image of your business in front of your clients. You can get your logo or slogan printed on it to give it a personal touch. It helps in setting up the right mood for your clients and well as employees. 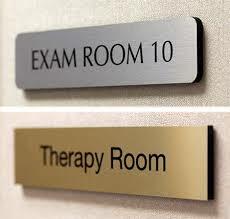 Interior signs also can be made in a way that helps people locate sections or departments in your office. These can be made in the form of an arrow or simply write down directions on them. 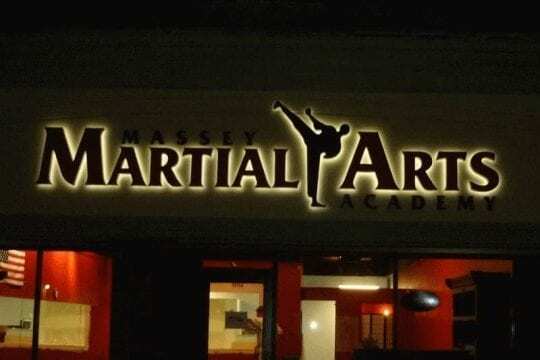 We offer a wide range of interior signs like Panel Signs, Back-lit Lobby Signs, Fabricated Aluminum Logos, Cut Metal Logos, Acrylic or Foam With Metal Laminate Logos, Cut Acrylic Office Sign Logos, PVC Cut Office Signage. Channel Letter Signs are bold and colorful signs. They are indeed among the most expensive signs but they are worth their expense. 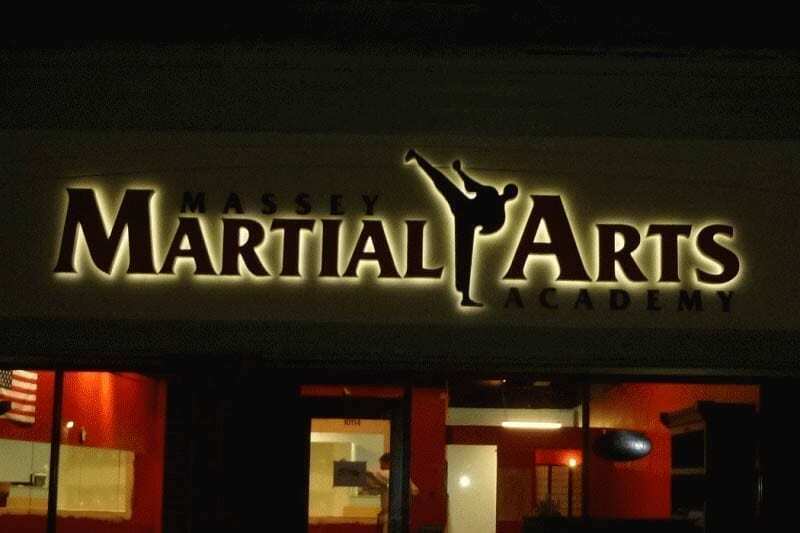 The LED lit signs give such an illumination which makes them stand out even in the dark making them appealing and fit for any kind of brand. Banners can help you stand out in the crowd. It is one of the best branding tactics for you. Vehicle wraps are the best way of advertising on the go. If you have a company vehicle, you can get it covered by customized vehicle graphics and design so that more and more people notice it. We provide full-color printing service in Miami. They are many basic printed accessories that every company should have, such as business cards, brochures, stickers, flyers/postcard, and booklets/catalogs. We can provide you with a full range of full-color printing services that can be customized according to the needs and requirements of your business. When you hand over your well designed and colorful business cards or brochures to people, it will set an amazing impression for your business. Top Class Printing is one of the finest printing service providers in Miami. Our premium business cards are suitable for any kind of business. We can provide you with cards from up to 4 paper thicknesses printed either from an offset machine. You can give your card some extra finish like round corners, foil stamping, die cut shapes and painted edges, etc. We can print products for any bulk requirement. Custom stickers for your business can help in making people aware of your business. 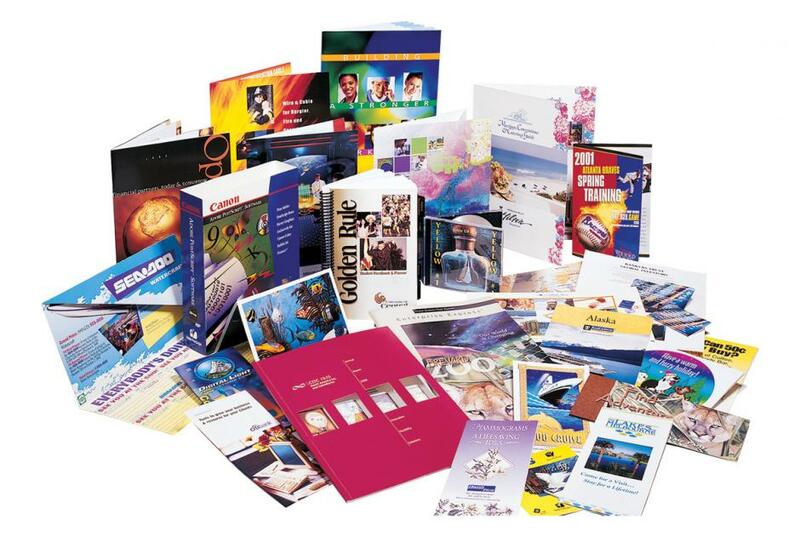 Booklets or catalogs can be used to tell people about what services or products you offer in detail. You can also include your contact details in it so that people can easily reach you. Brochures can be printed to tell people of any discount or offer you are giving to your customers or tell them about an upcoming sale or event in your store or office. All the products can be customized as per your needs. At Top Class Printing Miami, we provide the best printing services for your business. Trust us and the end products will always be according to your requirements and up to your expectations. Promotional items serve both the purposes or marketing as well as publicity of your brand and business. You can get it made in a simple way or in a very grand and dramatic way. Promotional items are in demand these days. 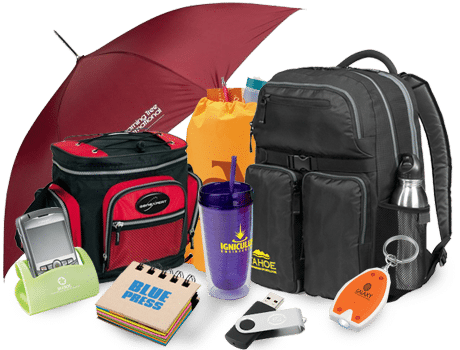 We can design and manufacture many types of promotional items in Miami for you such as Custom pens, USB memory sticks, Custom bags, Personalized lanyards, Logo Mugs, Custom logo pad-folios, Imprinted golf products, Custom Umbrellas. It is important to decide in advance what kind of item will you be needing at what time. Custom pens do not need any specific time, you can give them on any occasion. Get your logo, slogan or a personal text printed on it. We can make custom shape USB drives for you in any shape, size and color options. You can get custom and promotional bags made out of paper bags, cloth totes, or even backpacks to give away in any event or trade shows. Supermarkets and retail stores are also a great way to hand out or even sell bags. Lanyards are the strips that help in holding ID cards. You can get your logo or company name printed on it so that each time a person looks at it he remembers your business. In large events with multiple brands stalls, a printed lanyard is sure to stick out. Customised mugs and pad-folios express your brand everywhere they are taken or used. Custom umbrellas can be made in any size from small to large pool umbrellas. They are also attractive and are likely to be used for many months. Trade Show is a great way to observe the crowd and people from your industry and know who your real competitors are in the market. You get to know what other brands offer their clients that you lack or what are your strong points over others. Make your trade show booths attractive and engaging to stand out in the crowd in a trade show. Put up big enough banners for your company, so that you can be noticed from a distance. Your booth should be engaging enough to attract the maximum number of people who can be your potential customers. 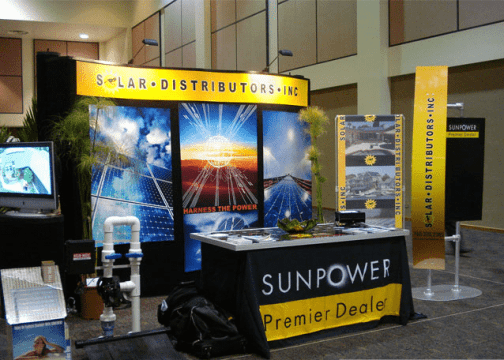 We can offer your trade show items such as X-Type/X Spider Banner Stand Displays, Retractable Banner Stands, Brochure / Literature Holders, Tension fabric displays, Popup Displays, Table Top Displays at affordable rates. If you want to attract the attention of the potential customers that you would like to speak to, you need to make sure that your trade show booth stands out among your competitors. Contact Top Class Printing Miami for setting up a trade show booth that perfectly suits your business needs. Retractable banner stands are the most cost-effective of all. They are better in quality and also available in a wide variety of sizes, styles, brand names. We can offer retractable banner stands to suit any type of business needs an budget. X Spider Banner Stand Displays are most budget-friendly. It is lightweight and portable. Pop up displays have amazing graphics capable enough of amusing your customers. Depending on the needs of our customers we have mini displays that of brochures, big displays such as a bang, full table top backwalls or even display boards with dry erase or velcro area for presentations. Uniforms and other corporate apparel are one of the best ways of the advertisement among your potential clients in Miami. Where your employees go wearing your uniform or any custom apparel, they carry your brand identity with them. Uniforms make your employees recognizable in a single glance, which in turn can improve your customer experience by making it easier for your customers to find them. However, it is important to know that corporate apparel such as embroidered shirts, screen printed shirts, and polo shirts turn their wearers into walking advertisements, thus making them a particularly powerful kind of promotional product. Top Class Printing Miami can provide you both screens printed t-shirts and embroidered corporate apparel or polo embroidery at affordable rates in Miami. Screen printing is a popular form of printing for apparels these days. You can customize your apparel with your logo, brand name, employee name, slogan, etc. It is highly recommended for custom T-shirts, workout apparel, branded uniforms, family reunion t-shirts, etc. We provide apparel printing services for products like dress shirts, polos, button ups, and hats. Our stitching is high quality and durable for letting your apparel last long. Go through our many clothing options to select the best for your brand needs. Send us the item number, your logo, and quantity of product you want to get made for a free custom quote. Keeping in mind the competition and trends these days, it is important to have a website made for your business. A website helps in increasing your business growth and also your customer base. You can easily handle all your business information, clients, orders, inventory etc with the help of your website. It makes it easy for the users to go through your products and services and get the details. A website is somewhat like an online brochure of your business. Users can not only go through your products but also order it instantly if they like it. You can also easily get user feedback and reviews. You can put up all the details about you, your company and products/services on your site letting the users going through it conveniently. Contact Top Class Printing Miami to get the web design services. We have a team of professionals that know very well how to help you boost up your business with proper web design. When you get your website built, proper marketing of it also becomes mandatory so that the maximum number of people can know about it. SEO does the work for you. Since most of the people in today’s time invest most of their time in digital technologies and on the internet, digital marketing is equally important. You can use SEO to increase your site visibility over the internet by getting it indexed and crawled by Google quickly. You can choose platforms like Facebook to create your Facebook page and create new and fresh content every day for your users or use Facebook ads to reach more people. Google AdWords can help you by providing paid campaigns for your business. Having a customized graphic design for your business can prove to be one of the most successful marketing strategies for your company. You can easily communicate with your existing and potential clients by using bold vibrant colors, images, logos, and infographics. A logo is the face of any company so it needs to be designed with the best graphic designing tools and techniques. Proper professional knowledge is needed to deliver the best graphics for any company based on its needs. Top Class Printing Miami can give you the best in the market graphic designing services that can set you apart from your competitors. A custom graphic design helps in setting up a connection between your company and your clients. You can get your custom company logo printed on your uniforms, brochures, letterheads, etc to give a uniqueness to your brand. All you have to do is just give us your company name and requirements and we will give you the best possible outcome using our team and available resources. A logo serves the dual purpose by telling your brand name to your clients and customers as well as giving a visual representation to your business. When people will try to remember your company, the logo will be the first thing that can help them remember you better. It is important to invest in the branding and marketing strategy of your business to increase your client base. The more people will know about your business, the more will they want to know more about you. Call Top Class Printing Miami for all your brand marketing services at one place. You can contact us on our toll-free number 888-228-4521 or 305-433-5574 for answers to any queries or questions.